Wilsons continued their training with local community groups at the Selby Centre in Tottenham last week, in partnership with Haringey Law Centre. On 1 February 2018, four of our Public Law solicitors delivered a morning’s training on accessing support for clients with no recourse to public funds. Katy Robinson began with an overview of the Care Act 2014 and how it can be used to access support for adults with care needs who are without recourse to public funds. 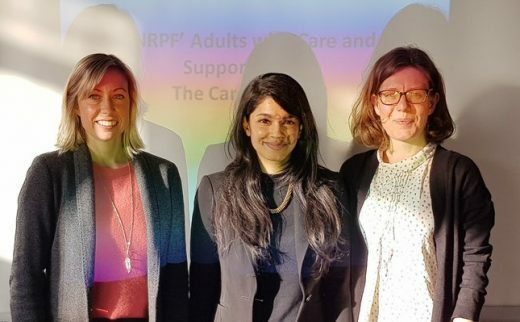 Nusrat Uddin outlined local authority duties to families without recourse to public funds and unaccompanied children under the Children Act 1989, and Jennine Walker gave a session on asylum support. Nina Rathbone Pullen finished off with training on trafficking, including the identification of victims and support available to them. The training was well-attended by many local community groups and we were treated to a delicious lunch prepared by Tottenham’s Community Cookup. Councillor John Bevan of Northumberland Park Ward also attended the training and thanked Wilsons on behalf of his constituents for the session as well as for previous training run by our immigration and family teams last year. If you would like to discuss how we can provide training for your organisation or community please contact Matthew Davies at m.davies@wilsonllp.co.uk.